Description: MARCOM’s “Confined Space Entry” Compliance Manual has been created specifically to assist facilities in complying with the OSHA regulation on "Permit Required Confined Spaces" (29 CFR Part 1910.146). The Manual reviews the regulation and its compliance requirements as well as provides all the materials needed to help meet these requirements... including a complete "fill-in-the-blank" Written Permit Required Confined Spaces Plan. 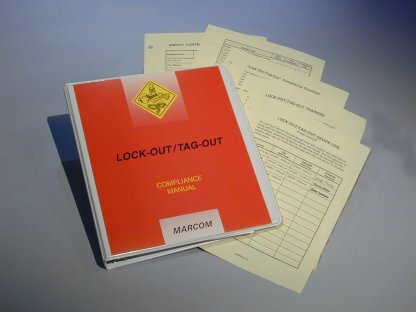 Areas covered in the Manual include background of the Standard, major compliance requirements, motivations for compliance, a "fill-in-the-blank" "permit required confined space program" (which addresses identifying and evaluating hazards, developing and implementing a permitting procedure system, providing testing and personal protective equipment, responsibilities of entry supervisors, attendants and entrants, the use of outside contractors, "closing" spaces and canceling permits), forms and procedures, a glossary of terms. By filling in the spaces provided in the "Permit Required Confined Space Program" section, any facility can create a complete written program that will meet the requirements of the regulation. And the Forms and Procedures section contains all of the forms and procedures necessary to implement a complete Permitting System.